888 Holdings, already one of the most established online gambling brands in the world, has further bolstered its already robust online bingo offering with the acquisition of Costa Bingo. Costa comes as part of the purchase of a stable of bingo brands. The sale was agreed at £18 million, with £12 million to be paid up front when the deal closes and a further £6 million to be paid in September 2019. Also included in the deal are City Bingo, Sing Bingo and Fancy Bingo. The brands were part of the Mandalay group of bingo platforms, and this will mark the second time they’ve changed hands in half a decade. Mandalay Media was bought by the Intertain Group in July of 2014 for an upfront payment of £45 million. When Intertain went on to buy Jackpotjoy it renamed itself to become the JPJ Group. JPJ Group says that Mandalay created around £11 million in revenue and roughly £3.7 million in profit before tax in the 12 months leading up to December 31st 2018. The business said, however, that it would use the sale to focus its brand strategy and positioning around Jackpotjoy. 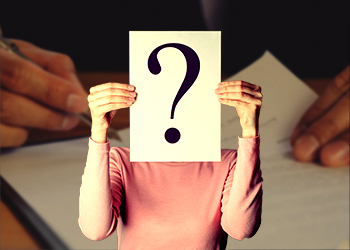 What will the acquisition mean? In the short term, the purchase is unlikely to bring significant changes to either the acquired brands or to the player experience. Over the medium and longer term, however, it’s expected that Costa will receive the same kind of promotional and marketing push as the likes of 888 Ladies and Wink Bingo. Jet Management Group, which ran the acquired brands for JPJ Group, was already a partner of Dragonfish, 888’s business to business bingo division, since 2009. 888 will now take full control of the brands and is expected to use them to further strengthen its position in the UK online bingo space. 888 has long been a dominant figure in the online gambling space. It’s one of the longest standing companies, having been founded in 1997 in the British Virgin Islands as Virtual Holdings Limited. It launched its first product, Casino-on-Net in May that year. Its second casino product, Reef Club Casino, followed in June 2002 and was complemented by the establishment of the 888.com brand and its multiplayer online poker room, Pacific Poker. In 2003 the company obtained a gaming license in Gibraltar and proceeded to move its HQ, management and operational centre there. 888’s first acquisition came in 2007. The company bought the bingo business and related assets from Globalcom Limited. That was also the year 888 signed its first white label agreements and moved into the B2B space. 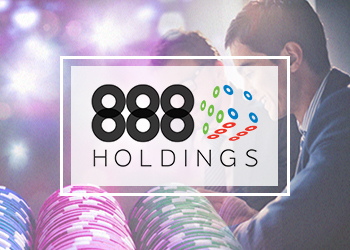 With the launch of 888sport in March, 888 had moved into the fourth of the major online gaming segments, now covering casino, poker, bingo and sports. In December of 2009, 888 made its next major purchase, bolstering its bingo offering with the acquisition of Wink’s online bingo site for £60 million as part of its efforts to offset the loss of the US market when online gambling was made illegal there. Wink Bingo went on to become a cornerstone of 888’s bingo offer and many commentators expect Costa Bingo to get much the same treatment. 2009 was also the year that 888 relaunched and rebranded its business to business offering as Dragonfish. In 2010 the business took on its next major expansion with the purchase of Mytopia, bringing on board assets that would form the centrepiece of its social and mobile strategy. “The Group continues to deliver its stated strategy of expanding across global regulated markets. This expansion is underpinned by organic growth initiatives supported by exploring value-enhancing M&A,” said 888 Chief Executive Officer Itai Pazner, discussing the Costa purchase. The purchase complements recent expansions by 888 such as its push into New Jersey’s online space. A similar move came in the form of 888’s acquisition of BetBright’s sports betting platform, they purchased the assets from Irish company Dedsert for £15 million. The purchase was primarily about BetBright’s technology. 888 said that it plans to use the scalable sportsbook tech and accompanying risk management, to support and enhance the long-term development of its 888Sport’s business. “This acquisition of a high-quality and scalable sportsbook is an exciting milestone for 888. It gives the Group the missing piece in our proprietary product and technology portfolio and will enable 888 to own proprietary, end-to-end solutions across the four major online gaming verticals,” 888 CEO Itai Panzer noted. 888 will be able to add complete ownership of the tech in its sports betting offering to the technology platform ownership in casino, poker and bingo. With only two and a half months of 2019 behind us, 888 Holdings has already made a couple of significant purchases. The company seems intent on expanding and strengthening both its market position and its self-reliance when it comes to the technology it uses to operate. It’s too early to predict what further moves we can expect from the company, but it’s shaping up to be another big year for 888 Holdings and the brands that fall under its umbrella.